From 1.5" (4cm) wide and up! 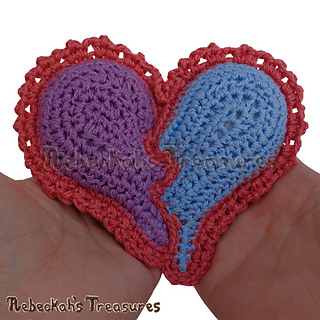 This Valentines share your heart with your besties or show broken hearts can be mended with the delightful Broken Hearts crochet pattern! 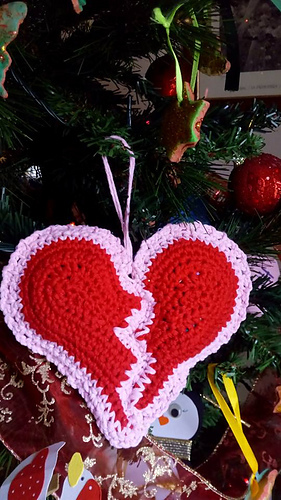 Broken Hearts can be crocheted as appliqués for greeting cards, or as amigurumi keychain/backpack fobs, friendship necklaces, or even little doll pillows too. 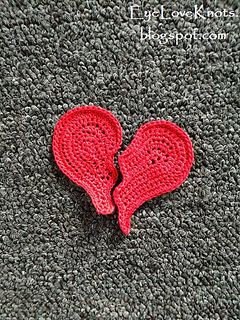 This accessory pattern includes written direction for crocheting broken heart halves either as flat appliqués or as stuffed amigurumi using ANY yarn or thread. Photo tutorials are also included to help you along the way in my official PDF version! 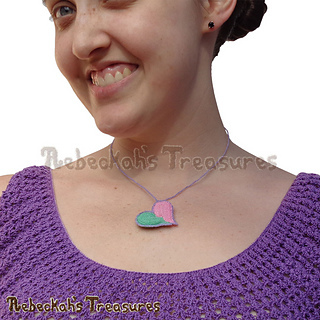 Plus, you may crochet with or without beads for a unique added flare!!! Either way, you will end up with a fun Valentine’s themed design to enjoy. What do your Broken Hearts look like? NOW Available in my Ravelry shop! 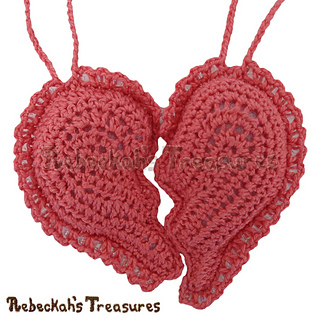 • Dolly Pillow – Both heart halves together = 5” (12.5cm) at widest point and 3.5” (8.5cm) tall at center. 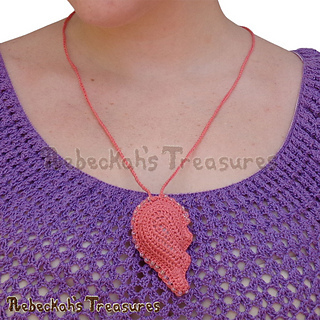 Use sport yarn (or cotton thread size 10 tripled up) + a 3.00mm hook. 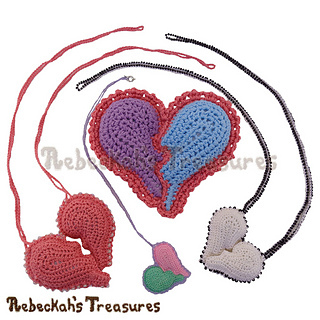 • Dusty Rose Necklace Set – Both heart halves together = 3.25” (7.5cm) at widest point and 2” (5cm) tall at center. Use cotton thread size 10 + a 1.05mm hook. 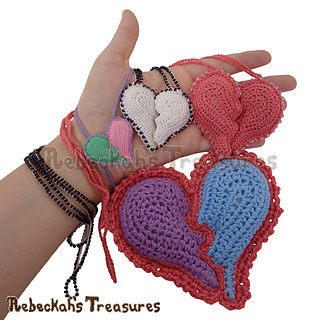 • Black Beads Friendship Necklace Set – Both heart halves together = 2.5” (6.5cm) at widest point and 1.5” (4cm) tall at center. Use cotton thread size 20 + a 0.75mm hook. 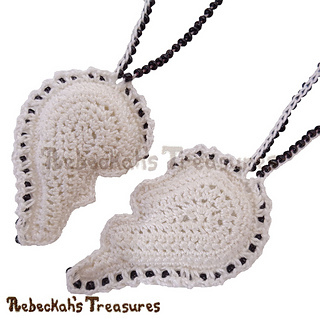 • Locket – Both heart halves together = 1.5” (4cm) at widest point and 7/8” (2cm) tall at center. Use sewing thread + a 0.75mm hook. Please Note: The amount of yarn used depends greatly on whether you are crocheting with thread or yarn. Thread will use about 60m. Whereas, yarn will use about twice that amount.